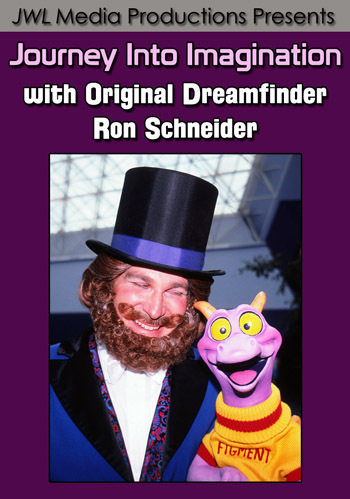 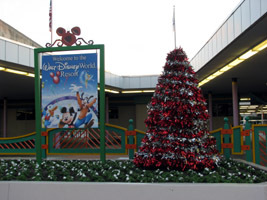 Walt Disney World Christmas Decorations 2008 – Your First Look! 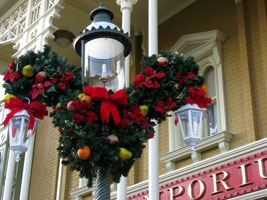 Partner site MouseSteps.com stopped by Walt Disney World today in search of the first sign of Christmas decorations. 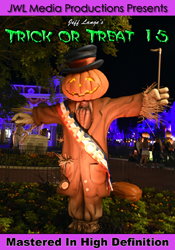 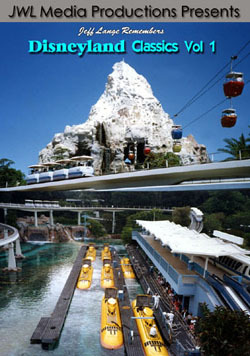 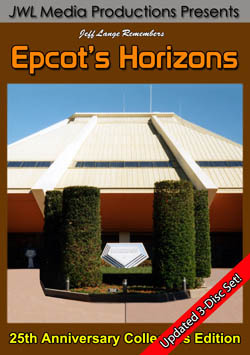 The simple display below adorns the Ticket and Transportation Center. 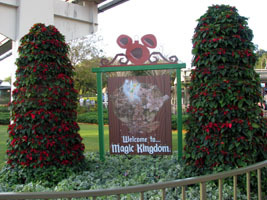 Stepping off the monorail, there are two poinsettia trees and a sign which soon should advertise the Mickey’s Very Merry Christmas Party. 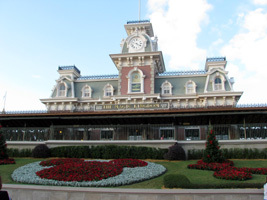 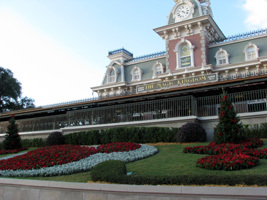 Christmas trees and poinsettia flower arrangements stand where pumpkins and orange flags did only days ago (below at the Magic Kingdom Train Station). 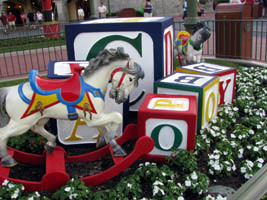 Town Square has changed little since last year. 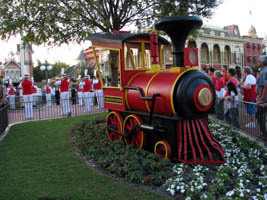 The display includes a giant ornament train, blocks and a rocking horse. 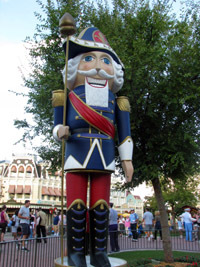 The familiar nutcracker also returns this year with the holiday wreaths replacing the pumpkins on the light poles.